A super British circa 1960 oil on panel by Douglas Falconer. 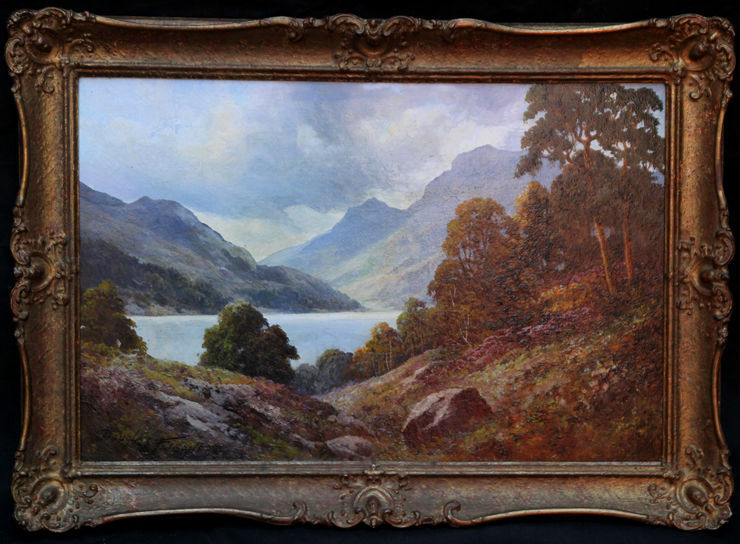 The painting depicts a beautiful Scottish landscape. The setting is " Loch Lubenig in Scotland. Loch Lubenig is a small freshwater loch near Callander in the Stirling council area, Scottish Highlands. It lies in the former county of Perthshire. It is part of Loch Lomond & Trossachs National Park. A very vibrant stunning painting of the Scottish landscape. Framed in a gallery frame 21 inches by 15 inches approx. Excellent condition. Douglas Falconer was born in 1913. Falconer initially trained as a furniture designer, gaining several important commissions, including the re-making of the bomb damaged rostrum for the auction house Christie’s. Falconer is praised for his romantic and highly atmospheric landscapes. 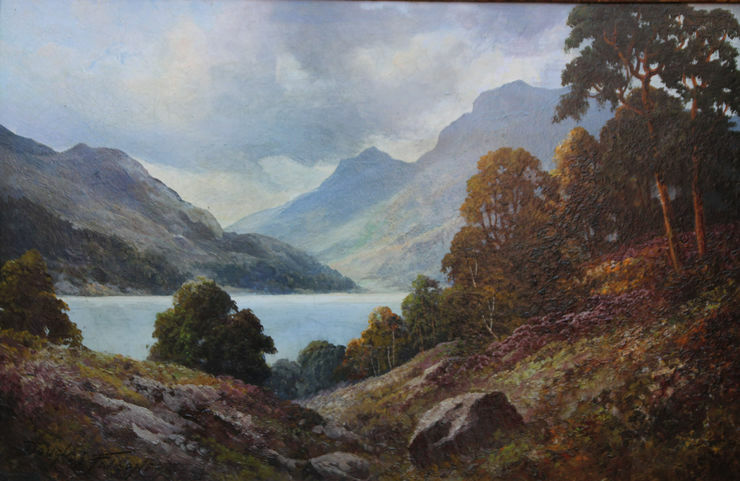 His scenes are mostly of Europe and Britain, and most notably depict the Lake District and the lochs and mountains of Scotland. He originally painted purely as a pastime, but committed himself to it as a result of the level and depth of demand among collectors for his work. Falconer travelled extensively seeking inspiration for his work, and staged numerous highly successful dedicated exhibitions at galleries in London.